Most Americans know George Washington led Americans to independence and served as our first president, but few recognize that his unique contributions to our nation are the fruit of his deep religious conviction and great strength of character. Historian and FACE founder Verna M. Hall knew that it is impossible to understand Washington the man without understanding his profound Christian faith. To help our nation, and particularly for the rising generation, to associate Washington with the Biblical standards of character he practiced, Miss Hall compiled material about Washington from his own words and from the accounts of others. The result is a rare biography, George Washington: The Character and Influence of One Man, illuminating his preparation for service to his countrymen and development as a leader whose character was the role model for all Americans. 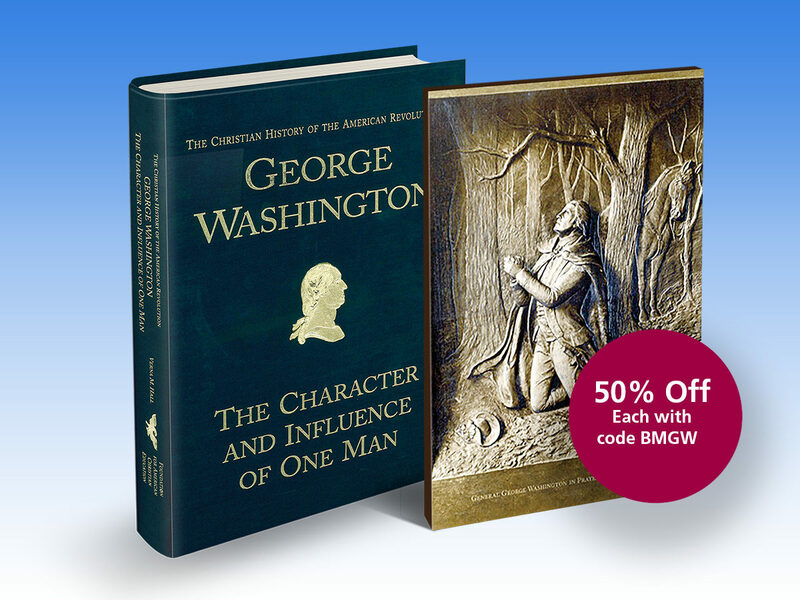 Highlights of the life and character of George Washington from primary resources set apart this excellent volume on the “Father” and “Founder” of the American Republic. Let George Washington’s life teach lessons of heroism, leadership and love of family through first-hand accounts by his contemporaries. Understand how God shaped his life from childhood, forming him into a man of influence. Take advantage of this special offer and purchase this book for 50% off. 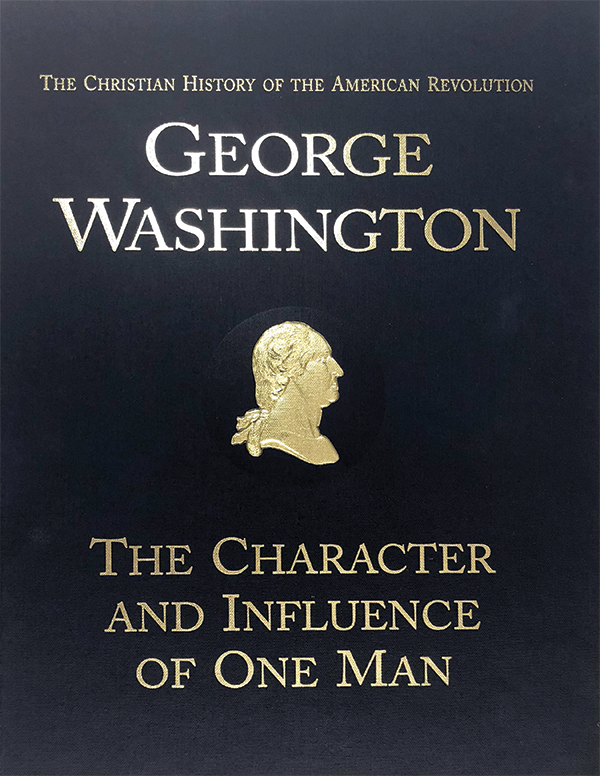 George Washington: The Character and Influence of One Man, complied by Verna M. Hall, edited by Dorothy Dimmick, introduction by Rosalie J. Slater, 1999, The Foundation for American Christian Education, blue linen hardcover with gold embossed imprint, 328 pages, plus Appendix A and B. 50% off the regular price for a limited time. Use code BMGW for your discount. 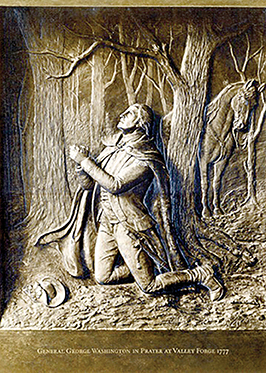 George Washington in Prayer at Valley Forge Wall Plague. This beautiful 12×16 plaque is a great reminder of God’s providential care in our nation today. The plaque is an accurate reproduction in bronze tones, deeply embossed with the sculptural look of the original James Edward Kelly bronze bas-relief on the United States Sub-Treasury Building in New York City where George Washington took the oath of office as our first president. 50% off the regular price for a limited time. Use code BMGW for your discount.